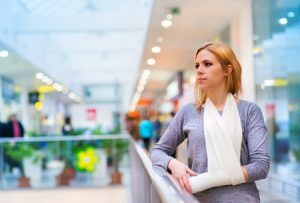 How Much Compensation Can I Claim for an Accident in a Shop? Whether you’re in a shopping complex, at your workplace, or in any public space, you may be the victim of an accident. You might be a visitor to the shop or an employee, but wet floors (without warning signs), obstacles, obstructions, uneven flooring or carpeting, and other potential hazards can all cause harm. Conceivably, injuries resulting from such accidents are not the fault of the victim. In some cases, the victim might be due compensation. A common misconception about such accidents is that they are trivial but this could not be further from the truth. An awkward fall may give rise to numerous problems and health concerns, if not immediately then in the future. If you have been involved in such an accident, filing a claim for compensation can protect you against future losses. As well as this, reporting an accident in a shop can help prevent others from being injured in the same way. But claiming shop accident compensation can be confusing. This guide will aim to clarify the process by which you could be paid the compensation you are owed. If you have been injured by an accident in a shop, this guide is for you. A guide to shop accident and injury claims. Who is responsible for customer safety in a shop? Is the shop always at fault in an accident claim? What to do if you are involved in an accident in a shop? Claiming compensation for an injury in a public place. What can be claimed for after an accident in a shop? How much compensation will I get for an accident in a shop? No win no fee shop injury claims. Why choose us as your claims service for a shop accident claim? Who is going to pay for the damages? What about the resulting medical expenses? What about the lost wages after taking time off of work? How much compensation for slipping on wet floor or surfaces? What legal options do you have in this sort of a predicament? What kind of money can you expect as compensation? In this guide, we will summarise everything you need to know about accidents which take place in a shop, providing you with a solid foundation of knowledge. Slip, trip and fall compensation amounts can be different, depending on many factors. In this guide, we will illustrate many of these factors and describe how they could affect you. If, for example, you want to claim for slipping on wet floor or surfaces, then our guide should be a good place to get started with your claim. Essentially, this guide will provide you with necessary information and answer your questions and concerns regarding a potential claim. Thus, you will be in a more informed position should you decide to proceed. If you do decide to move forward with the case, we will even mention how to contact a law firm and discuss the costs of doing so. What Type of Shop did your Accident Happen in? In order to answer this question conclusively, the respective legislation is called the Occupiers’ Liability Act 1957. In layman terms, effectively, this means that the “occupier” of the retail store is responsible. Applying this interpretation to a retail store or any other shop, we can typically say that the occupier, in this case, is the owner of the shop, the lessee of the shop, or the management of the shop, depending on the particular case in hand. When it comes to shops and shopping centres, it is the management of the store or shopping complex who are legally obligated to ensure your safety. In accordance with this, if you were injured in a shop accident, then the management of the shop might be considered negligent and, hence, can be held liable for the accident. Having served many clients successfully in shop accident cases, we are well aware of the fact that many cases have arisen as a consequence of negligence or liability on the behalf of the management or staff of the shopping centre. It also worth reiterating that not all shop accident cases are the fault of the shopping centre’s management or staff. This is why we will gather evidence during your claim. By interpretation of The Occupiers’ Liability Act 1957, we have concluded that your safety is the responsibility of the occupier of the shop while you are within the premises or the entrance to the shop. However, this is only up until a reasonable extent. In some cases, the negligence might not be on part of the shop management, but instead an independent contractor responsible for the maintenance. Assuming that the shop management did verify that the contractor was qualified to do the job, then instead of the shop being held liable, it is the contractor that could be named as a defendant in your shop accident lawsuit. As you can see, determining negligence or liability can be a complicated process. With legal expertise and experience, however, this can become much easier. Take down full names, addresses, and contact details of all persons involved. If any witnesses are willing to make statements, record the statement and take their contact details. If the police or PCSOs are present, take down their contact details. If there was an obstruction or obstacle which caused the accident, take photographs of it. If the accident site was under video surveillance, try to acquire a copy of the footage. Though this list is by no means exhaustive or essential, one or more of these steps could be incredibly useful in the future. Thus, it is worth being aware of how you might strengthen your case before even talking to a legal representative. As per legislation, being responsible for visitors’ safety has some objective definitions as stipulated by law. There are several safety regulations, standard practices, and procedures that the occupier should meet. When these standards and regulations are not met, you may be due compensation. If that happens to be the owner of a shop you were visiting, either as an employee or as a patron, then the negligence of the shop owner or occupier could lead to them being held liable for your compensation claim. 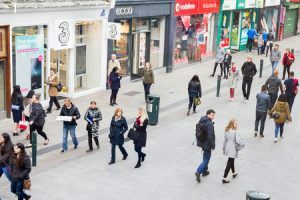 Part of any legal claim for compensation regarding an injury in a public place (such as a shop) will involve determining whether the owner/occupier failed to adhere to health and safety regulations and advice. Should this be the case, then proving the existence of negligence on their part should be easy. If you would like advice regarding claiming compensation following an injury in a public place, our experts are free to take your call. Considering the complexity of many of the laws governing accidents which occur in public places, members of the public who seek to claim compensation following a personal injury might find themselves lost. Having assistance in this matter can be essential and can dramatically increase your chances of success. If you would like to find the right legal assistance to help you in a compensation claim, what is the best way to get started? As mentioned earlier, evidence is key. If you have the ability to build a solid foundation of proof for your case, then it will be much easier to find the right legal team to represent you. Knowing what amounts to good evidence can, in and of itself, be tough. That’s why we provide a free consultation session. This allows members of the public to contact us and arrange a chat about their case. We’ll go over the details and provide you with some great advice on how best to proceed. If we agree that you have a case, then the next steps will be much simpler. We’ll come on board and begin to make arrangements. This can include gathering further evidence, as well as arranging for you to visit a local doctor and get a full diagnosis of your injury, including any future conditions. Once we have everything in place, we will begin to contact the parties involved. As you can see, having legal experts on your side can really reduce the stress and concern when claiming compensation. General damages – general damages can relate to the pain and suffering brought about by the injury. Care claim – this can cover the cost of hiring a nurse or carer for your home. Loss of earnings – this can cover any earnings which you have potentially lost following your injury. Travel Expenses – this can cover any expenses related to travel to and from doctor’s appointments. Medical Expenses – this can include the cost of dedicated medical equipment, physiotherapy, and private treatment. One of the most common questions asked by those who are interested in claiming for compensation regards how much they might receive. As we have outlined above, there are a number of factors which can help in determining the grand total. However, there are many specifics which will be unique to your claim. The consequences of your accident and the nature and severity of your injuries will play a major role. That is to say, the severity of your injury is factored into the total. While this final total can be hard to estimate, we’ve included the below table, which provides rough estimates of some injuries and the final amounts which were rewarded. While it can give you a general idea, those seeking a more specific answer might be better served by contacting a legal representative. One of the main barriers standing between clients and a successful compensation claim is often the fees attached to hiring legal representatives. If your injury has caused you to suffer financial as well as physical losses, then this could be an even bigger issue. Unlike other law firms, we do not charge any fees until a case has been successfully concluded. We do this by providing a ‘No Win No Fee’ agreement. As such, you will not have to be concerned about the upfront costs of hiring a law firm. If you are seeking legal help, you can contact our team to find out more about our Conditional Fee Agreement. In addition to our ‘No Win No Fee’ policy, our law firm has plenty of other advantages. First and foremost is the free legal consultation we can offer. If you are considering launching a compensation claim, this session could be the perfect way to get started. We’ll look over your case and advise you on the best way to proceed. This can even happen over the phone. We possess an in-depth understanding of the laws and legislation governing shop accidents and personal injury cases. Our years of experience have taught us the value of putting the client’s wellbeing first. Not only do we want to help you win your case, but our understanding of accidental injury claims means we know how best to help. This involves us arranging for you to visit a local doctor who will fully diagnose any current or future issues and their severity. If you want legal representation which truly takes care of you, then we are the best possible choice. If you or someone you know has suffered an injury as the result of someone else’s negligence, then we can help you. If you happen to find yourself in such a predicament, then you may be eligible to win compensation for the damages inflicted upon you. We are here to help you and will guide you through the entire legal process. In shop accident and personal injury cases, getting the best legal assistance is simple. You can call us today or fill out our contact form online to arrange for a free consultation session. So call 0800 073 8804 for free advice and get your compensation claim started today. Advice for when using a solicitor to deal with your personal injury case. Shops and stores must have insurance for personal injuries to protect customers and the public. Have you had a slip trip or fall in a supermarket or been injured in any way contact us today.